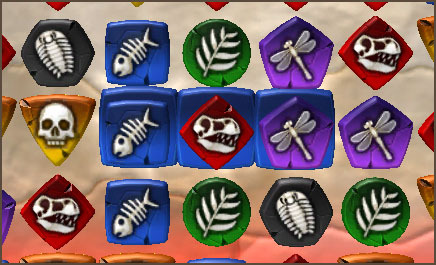 Play for free in your browser or play on your iPhone or iPad. 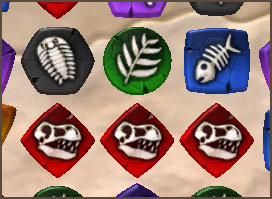 Matching fossils like this breaks them, awards points and brings new fossils onto the board. 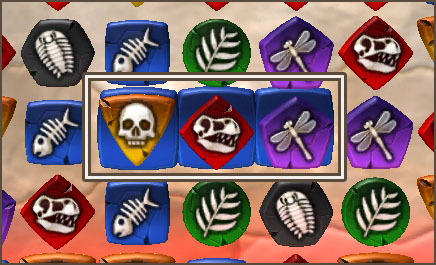 However, there is more to Fossil Swap than just matching. 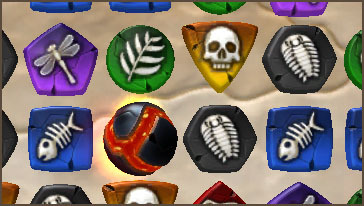 Your objective is to destroy special target tiles, by matching fossils of the same color in front of them. 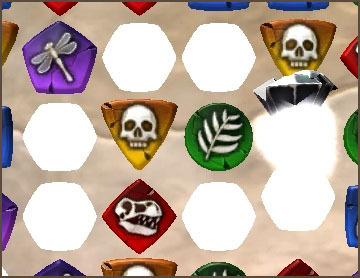 In the image below you can see 3 blue target tiles. 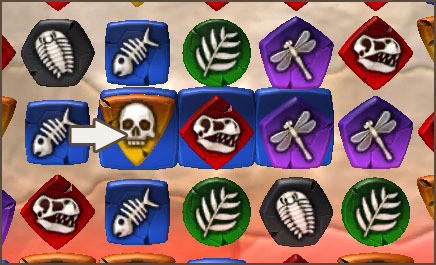 Once you have removed all the target tiles, you continue to the next stage. 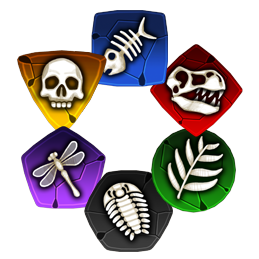 In Ranked mode you have two minutes to complete each stage. In Practice mode there is no time limit. Here's another example. 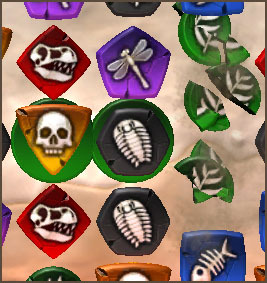 This time the target tiles are green, so green fossils must be matched in front of them to remove them. 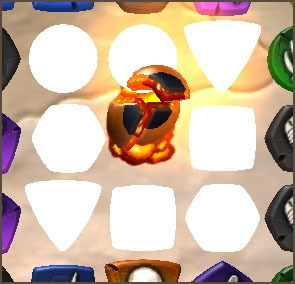 To detonate the lava bomb, swap it with an adjacent fossil. 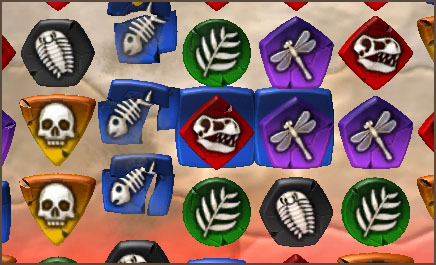 It will destroy all the surrounding fossils. 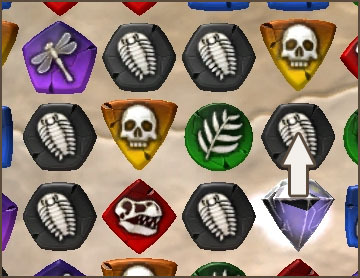 This is very useful when you want to bring in lots of new fossils to help you remove the target tiles. 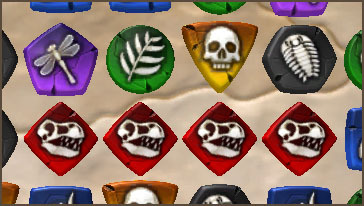 Make a match of 5 or more and a diamond is created. 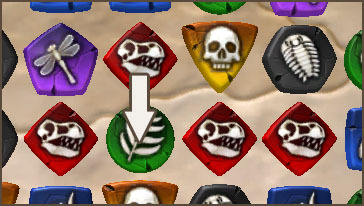 Swap a diamond with an adjacent fossil and all fossils of that color will be destroyed. 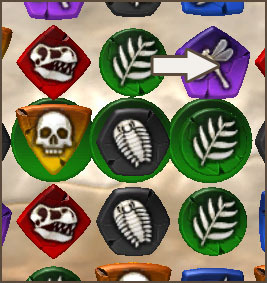 The key to a high score in Fossil Swap is to make matches quickly. 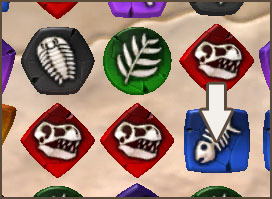 Whenever you match fossils, the chain timer fills and starts to decrease. 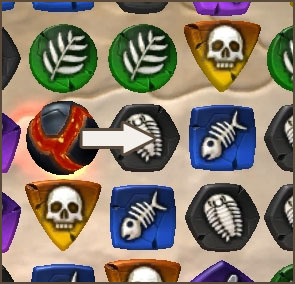 If you make another match before the chain timer empties (around 2 seconds) your chain count increases and you score more points. 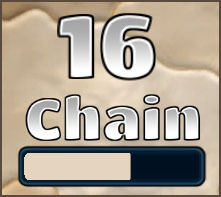 Try to keep increasing your chain - the higher it gets the more points you score for every match, but if you delay for more than 2 seconds between matches, it resets back to zero.